Mix all of your ingredients together in a bowl using an electric hand mixer. 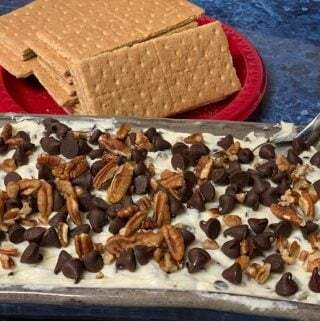 Add some milk chocolate chips and pecans to the top to garnish. Serve with graham crackers or nilla wafers.